Rob's got a phrase to explain that he thinks applies to him but Feifei has another use for it. Join them in this programme to hear another English phrase in use. So Rob, what's that thing you've got there? And do you want to know what's inside? OK - well, if I just open the lid here you'll be able to hear [Opens lid and sounds of laughing] - funny, isn't it?! [not impressed] You have 'a barrel of laughs' - hmm, and that is supposed to be funny? It's supposed to illustrate today's piece of authentic real English. It's hilarious, isn't it? And do you know what - the phrase 'a barrel of laughs' can be used to describe me - someone who is fun and always joking around. Really? Someone who is funny is 'a barrel of laughs'? But this doesn't describe you Rob - you're not funny. I shall miss having John in the office. He was a such a barrel of laughs. What a barrel of laughs that bus driver was. He made the long journey much more fun with his funny announcements! Since I split up with my boyfriend, life hasn't been a barrel of laughs. 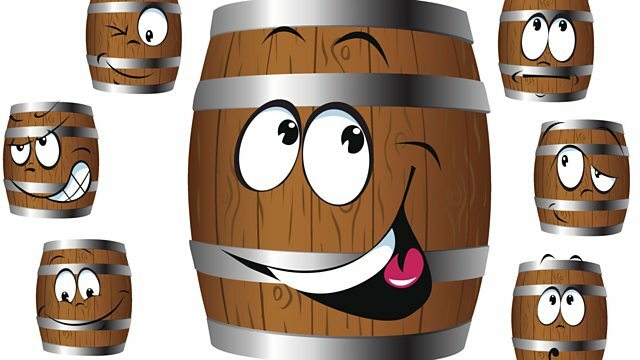 So if someone is a 'barrel of laughs', they are fun - and an enjoyable person to be around. Yeah, exactly - the phrase can also describe a thing such as TV show. But come on Feifei, you have to agree, this barrel full of laughs is so funny! Listen to this! [Opens lid again: laughter]. Oh yes - go on, what is it? Why don't you see if you can fit inside the barrel? Oh, right, OK. Well, that sounds like a laugh. OK, then, here goes... [Sound of Rob getting in] ... Alright, I'm in. Wow Rob - you actually fit in the barrel! That's so funny! Hey Feifei what are you doing? It's hilarious! See you later.